Precision press brakes featuring a range of controllers from simple manual entry up to full importing from a drawing. Capacities range from 40 to 1000 tonnes and beyond, in a variety of bending widths. We offer a range of high definition CNC plasma cutting machines offer high quality profile cutting for a range of materials, delivering both excellent edge squareness and a virtually dross free finish, while maintaining production feed rates. Our range of sawing machines includes models especially suited to structural steel, general fabrication and engineering applications. A range of hydraulic swing beam guillotines are equipped with a high visibility front guard design consisting of a fixed guard with windows. Whether you need a small set of manual rolls to quickly produce a small cylinder or are regularly processing heavy plate material, we have a machine to meet your requirement. The versatile workhorse of the fabrication workshop; punch, shear, crop or notch steel quickly and effortlessly. Model capacities range from 45 to 175 tonnes. We offer a wide range of drilling machinery, specifically aimed at the requirements of the metal fabrication industry. The Bison Machinery Showroom is constantly being updated.... Visit our clearance section for ex demonstration models and other clearance lines. We offer a wide range of conventional engineering machinery, specifically aimed at the requirements of the metal fabrication industry. 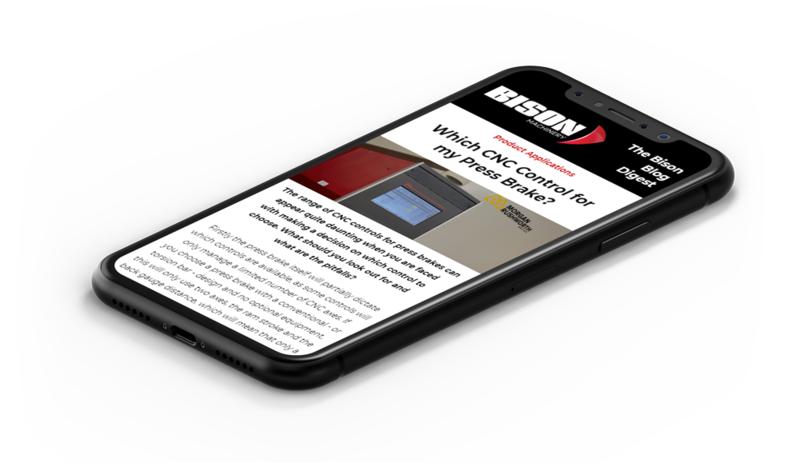 Industry news based around metalworking products, concepts, industry advice and product demonstrations.